I must say when I saw these pale pink hyacinths playing so nicely together with the new burgundy colored foliage of my Intersectional Peony 'Bartzella', I just had to snap a photo. I must admit that hyacinths are my favorite spring bulb, ever. (***So I'm not biased at all here.) But I really do think that hyacinths make great companions for peonies. 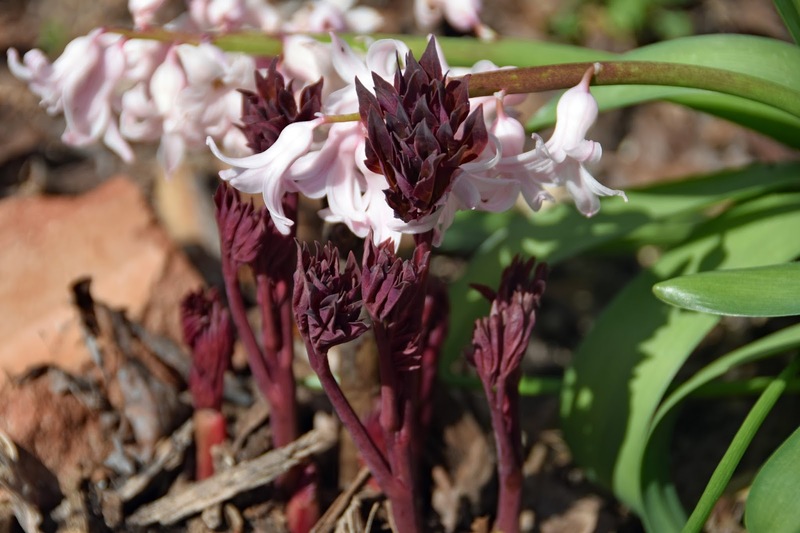 It doesn't hurt that deer (or most any other animal) won't touch hyacinths. Hyacinths bloom a bit earlier in the season than peonies. 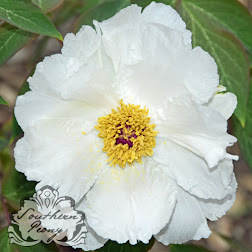 So you get some nice candy colored blooms before your peonies are ready to flower, and the flower clusters of the hyacinths get a chance to play with the up and coming peony foliage. What a beautiful combination. Hyacinth bulbs only last a few years for me here in the South. So you will likely have to replant them after a few years, but to me they are worth it! There are so many colors of hyacinths to choose from - all shades of pink, lavender-blue, deep purple, coral, pale yellow, white, purple-black. The color options are almost endless. If hyacinths aren't your thing, there are many other spring bulbs to choose from to get your garden flowering long before the peonies pop! 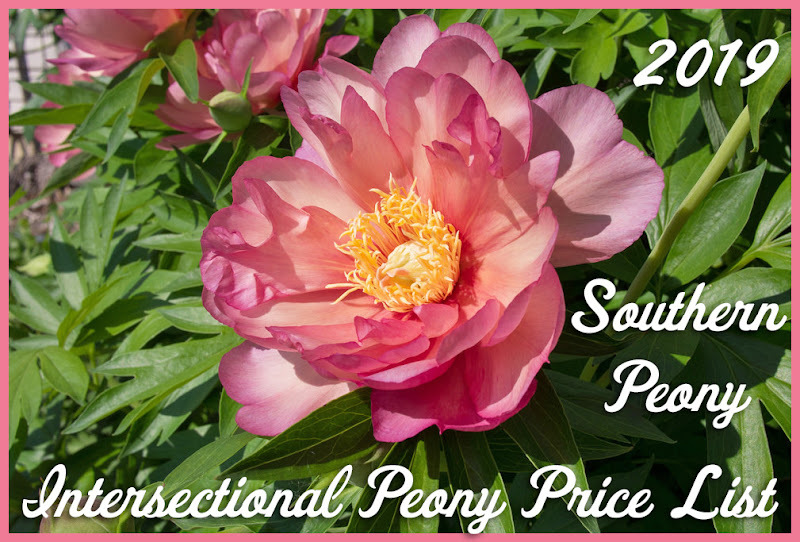 If you'd like to see some of our other ideas for peony companions, check them out here: Peony Companions.